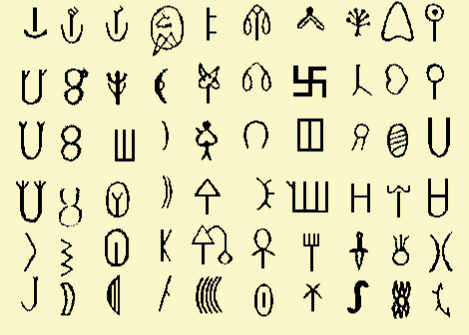 Thee have been several approaches to understand the Indus Valley script. After trying out a multilingual approach, it is now evident that the best approach to decipher the Indus Valley scripts is through Tamil, a language of Great antiquity which it shares with Sanskrit. Please read m post Million eras old Tamil quotes Vedas, the quote Tamil. Despite repeated concerted attempts to divide Indians and Hinduism b bringing in , now disproved , Aryan Invasion Theory, facts come to light. Even in the paper , from which I am posting excerpts,the author tries gamely to trace the Tamil language to Sahara, then from there to Iran. What he missed out is Iran was apart of Bharatavarsha and kandhara, present Kandahar, was the birth place of Gandhari, wifre of Dhritharashtra, mother of the Kauravas of Mahabharata. This entry was posted on June 21, 2014 by Sanatan Dharm and Hinduism in HINDUISM SCIENCE.